Welcome to Day 1016 of our Wisdom-Trek, and thank you for joining me. Hello, my friend, I am Guthrie Chamberlain, your captain on our journey to increase wisdom and create a living legacy. Thank you for joining us today as we explore wisdom on our 2nd millennium of podcasts. This is Day 1016 of our trek, and it is Wisdom Wednesday. 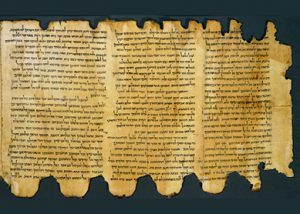 Throughout modern history, there has been a discussion about how particular books were included in the New Testament. Dan Brown’s blockbuster novel and subsequent movie The Da Vinci Code based its conspiratorial plot in part on the notion that other gospels had been eradicated by spiteful church authorities and an emperor openly partial to orthodoxy. The success of the novel and movie prompted many churchgoers to ask whether or not all the books that should be included in the New Testament actually were. To be sure, Dan Brown took a lot of liberties with facts in his story. But what if we’re not dealing with fiction? The New Testament itself tells us that there were books written by apostles that didn’t make it into in the Bible. Surprised? Let’s take a look. 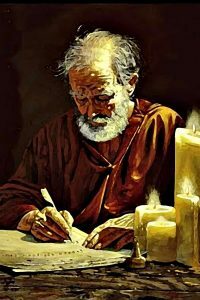 In l Corinthians, Paul himself mentions an earlier letter he wrote to this same church in 1 Corinthians 5:9, “When I wrote to you before, I told you not to associate with people who indulge in sexual sin.” While some interpreters have argued that Paul was referring to the letter he was currently writing (1 Corinthians), most acknowledge that this explanation is weak. Taken at face value, 1 Corinthians 5:9 tells us that Paul had written to this church before, but that letter has not survived and thus is not part of the New Testament. In Paul’s letter to the church at Colossae in Colossians 4:16, he says, “After you have read this letter, pass it on to the church at Laodicea so they can read it, too. And you should read the letter I wrote to them.” What was this letter from Laodicea? What happened to it? The phrase “letter from Laodicea” is a literal translation of the Greek and suggests that the letter came from Laodicea. This is a bit misleading though. The phrase does not necessarily mean that this letter was written by someone in Laodicea to Paul or to the Colossians. Colossians [4:16] tells us that letters to churches were circulated, and so it may be that this Laodicea letter was written by Paul and sent to the Christians at Colossae—like the Colossian letter was to be sent to the believers in Laodicea. Some scholars have speculated that this letter isn’t actually missing. The region of Laodicea was also identified with the city of Ephesus, indicating that the letter from Laodicea may actually be the epistle to the Ephesians. Others disagree, stating that a good case can be made based on the book of Acts’ chronology for the letter to the Colossians being written before the letter to the Ephesians. If this is the case, then the letter to Laodicea must not be the letter to the Ephesians contained in New Testament, because Colossians 4:16 directly references a letter that is supposed to already exist. If indeed the letter from Laodicea is not Ephesians, then we have another one of Paul’s letters that never made it into the New Testament. Are missing apostolic letters something that should cause us concern? Are we somehow driven to the conclusion that the process of collecting the inspired books of the New Testament was flawed? Some believers might be troubled at the thought, but the problem is not that the circumstances of history worked against God! The problem is a flawed view of inspiration that sees the act of writing Scripture as some sort of “single moment” divine encounter. If we think that inspiration is merely a string of momentary supernatural writing sessions, then it would be expected that anything “spiritual” written by an apostle or his close associate had to be preserved. If something went missing, then it looks like something went wrong, or that God’s intentions were thwarted by human ineptitude. Rather than seeing inspiration as a string of mystical encounters, we ought to understand that the apostles were normal people whose work for the Lord was in concert with the general providence of God. 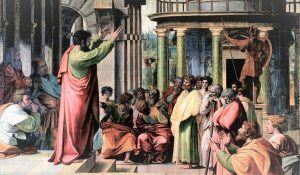 We know by comparing the New Testament to other literature of its day that the apostles used vocabulary, styles, and forms of expression that were quite commonplace. The Scripture writers were not under some sort of holy spell that meant everything they thought, spoke, or wrote had to be safeguarded. Rather, God influenced them through the circumstances of Providence to write what He deemed necessary for posterity. This perspective moves the focus of inspiration from the writers to the ultimate, providential guidance of God. We owe both the writers and God a debt of gratitude for giving us the Word of God. That will conclude our essay for this week. Next Wisdom Wednesday we will continue in the New Testament as we look at Dr. Heiser’s next essay titled “Destiny & Destination.” I believe you will find this another interesting topic to consider as we build our Biblical worldview. If you would like to listen to any of our past 1015 treks or read the Wisdom Journal, they are available at Wisdom-Trek.com. I encourage you to subscribe to Wisdom-Trek on your favorite podcast player so that each day’s trek will be downloaded automatically.